One area of education technology that we do not focus on enough is the ability for technology to aid teachers in assessing and tracking management in the classroom. Over the last few years a great number of mobile apps have emerged to aid in the process of tracking student management and making it transparent. Below I will review a few of the FREE options I have come to appreciate. When you sign up for class charts, it immediately asks if you want to collaborate with other teachers in your building. For teachers in grades 6-12 where the students often share multiple teachers throughout the day, the collaboration feature is very handy. 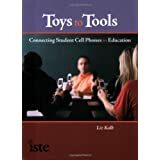 This allows the teachers to see the children's behavior with other teachers and to see if there are certain patterns to the positive or negative behaviors. The image that you work from is a seating chart for your classroom, and each student's image or an avatar represents them. On the image are the "behavior" points accumulated, the reading level of students, their income background as well as any other statistical data that might help (you can add your own categories such as cultural background or hobbys) give you or another teacher a more holistic view of where the child is coming from and where they are currently at. While there are ready-made behaviors, you can also add your own. In addition, you can add notes to the behavior's accumulated easily so that the children, their parents or other teachers know why the points were added or taken away. This would work well with a PBIS type approach to behavior management. The system has very detailed graphical data reports that can be shared with students or parents. There is also a nice system for a parent code. Class Charts works with any Internet enabled device (iPad, iPod, Smartphone..etc). behavior. Also there are other features such as tracking attendance and customizing the behavior type options. Class Dojo runs on any mobile device with Internet access. 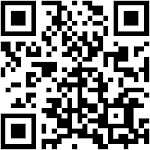 A great free app that tracks and manages student's behavior. In addition to focusing on behavior it also works as a learning management system (LMS), where it includes grades, attendance and evaluation of activities. 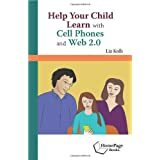 You can use your mobile device to assign behaviors and see over time how the behavior correlates with the classroom grades. It includes seating charts and customizable behavior options. There are also graphical reports for students and parents to view. If there's ever anything we can do for you, please don't hesitate to reach out! I have used Class Dojo for three years now, and it's wonderful! I use it to collect observations on student activity. These points are put in the gradebook as a Participation and Productivity grade each week, and I use the reports at Parent/Teacher conferences. I will check out the others, thank you so much for sharing, your blog is much appreciated! Thank you very much for this, if you have any suggestions for improvement please feel free to contact us. Thanks so much for taking the time to write about Class Charts, we really appreciate it. I saw you present in Jeff Stanzler's Technology class the other day and I really appreciate the information you provided. 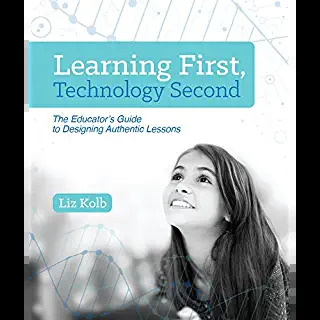 I think it's so interesting the point you bring up about low-performing students often identifying some form of technology as their primary interest. This rings true. My only question for you is how you handle students lack of access to technology? So many of the ideas you bring up require everyone have at least a phone (eg. quizzes, attendance, surveys). 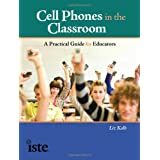 Are there ways that you think it makes sense to use phones in a classroom when students have to share? Again, thanks for all the helpful information! Education software does appear to benefit preschoolers in areas important for school readiness. amazing site and informative which gives all reader many good... thanks for sharing! Although I believe that Class Charts does solve the issue of teachers not communicating well with each other, I believe that people may take offense in the documentation of a student's background. This offense may be taken because people may think that it is stereotyping to associate a student's behavior with such categories as social class. I think that Class Dojo and TeacherKit will face less controversy because they do not single out a student for statistics about them. 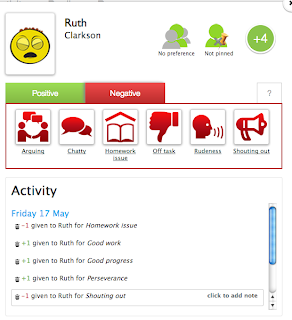 Instead Class Dojo keeps track of just behavior, and TeachKit relates behavior to information collected in school. Both of these seem a less of an invasion of privacy to me. I am just reposting my previous comment with my Google Account.